Roamer Holistic Health & Beauty – Promotional Film from Roamer Holistic on Vimeo. Roamer Holistic Health and Beauty Clinic is an award winning salon nestled in the heart of Newtownards, Co. Down. We offer the latest innovative Beauty & Holistic Therapy treatments, delivered by a team of professionally trained & experienced therapists with over 80 years combined experience. We are approved stockists for professional brands including Environ, Dermalogica, CACI, He-Shi, Nailtiques, Bio Sculpture, Warm Bamboo & Hot Stone Massage and The Gel Bottle. At Roamer Holistic Health and Beauty Clinic we understand that your time is valuable and have designed our treatments and boutique environment to immerse you in an atmosphere of soothing indulgence. With this in mind, our 5* Good Salon Guide clinic is the only one of its kind in the area. Boasting a spacious nail bar, dedicated spray tanning room and 5 treatment rooms, we are the only clinic in the area to offer wheelchair and disability access. Established in 1996 by Naomi Holmans, IFHB, MICHT, IIHHT, IHBC (MCBTh), we are open six days a week, with four late evenings. We pride ourselves on catering to the busiest of lifestyles, while providing the highest standards of customer service. 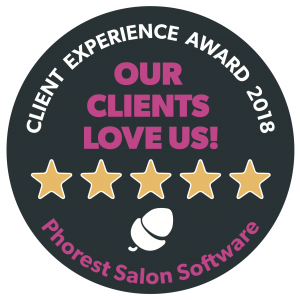 Trading mainly on word of mouth recommendations of our many satisfied clients, we reached the All Ireland Salon of the Year 2005 Finals and were awarded our Customer Excellence Award in 2007. In 2016 the salon was recognised and awarded with the Investors in People accreditation. As one of Northern Ireland’s leading Dermalogica salons Roamer Holistic Health & Beauty Clinic is considered one of the country’s leading beauty and holistic clinics. Roamer Holistic Health and Beauty Clinic is an award winning, boutique salon nestled in the heart of Newtownards, Co. Down. Boasting a professionally trained & experienced team with over 40 years combined experience, the clinic offers a wide range of Beauty & Holistic Therapy treatments.